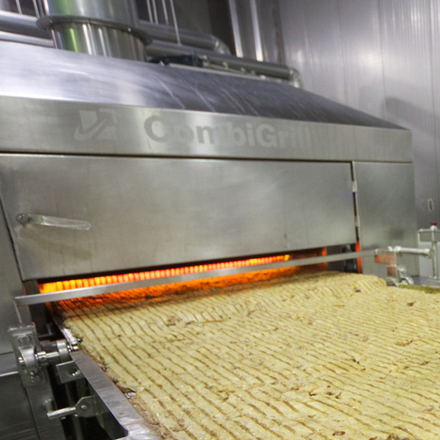 Crider Foods is in every way a state of the art processor for Fully Cooked poultry products. 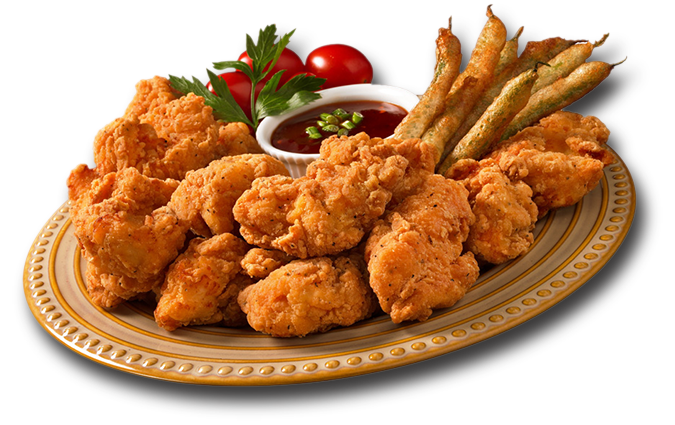 Our core poultry product capabilities include both grilled or fried, fully-cooked diced, strips, sized-fillets plus bone-in and boneless wings. In addition, we process beef, pork and turkey products. Our value proposition is validated by our least-cost processing capabilities and ability to rapidly adapt to our customer’s changing needs. Economy of scale is achieved through high-volume manufacturing capabilities with production rates in excess of 10,000 lbs. /hour. Crider’s cook facility was designed with food safety as a primary focus. SQF Level 3 certification provides the security and confidence today’s customers require to minimize the risk of any event related to Food Safety. Crider Foods Pilot Plant combined with our staff of experienced R&D and Food Technologists provides customer’s access to the resources required to facilitate rapid NPD initiatives and Go-to-Market opportunities. As a leading fully cooked protein processor, our high-tech facility is equipped with statistical process controls throughout and designed to be versatile while meeting the demand for ready-to-eat cooked frozen chicken for our contract packing, foodservice and industrial customers. We maintain the values and attributes of a small family owned business while our capabilities represent those of a much larger enterprise. Our customers, which include several National brands, depend on our abilities to protect those brands and create outstanding value for our strategic partners in the markets where we compete. WE THINK AND BEHAVE LIKE A LOCAL FAMILY OWNED BUSINESS. THIS CULTURE CREATES VALUE FOR OUR CUSTOMERS WHO APPRECIATE TRANSPARENCY AND OUR DEDICATION TO LONG TERM RELATIONSHIPS. 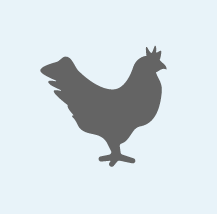 All raw material suppliers are audited to ensure they meet Crider’s strict requirements of animal welfare and process control. All incoming meat is X-rayed to dramatically reduce bones and foreign material. Best in class capabilities result in excess of 10,000 lbs. per hour of fully cooked product. Real – time data collection is delivered by the Infinity Food Safety Software and Traceability System. Our Test & Hold policy ensures no product is released until all micro test results have been completed and verified. We are proud of our SQF3 certification which is recognized Globally as the Gold Standard in Food Safety. Fully cooked products offer our partners unparalleled risk management at store level. Customers know that Crider’s fully cooked products dramatically reduce the risk of improper in store preparation. Crider’s cook facility was specifically designed to meet the needs of our business to business and our industrial customers. Because we can produce large quantities in a limited time, we are able to maintain lower costs and superior product results. With today’s youth in mind, we have produced protein products with reduced fat and sodium. Our vision of the future led us to develop a plant that represents the state-of-the-industry in food safety. The focus on enhanced bio-security systems and inline process contamination monitoring ensures we produce and protect the best product at the highest standards. Our plant technologies go right to the essence of food quality: antimicrobial flooring to discourage bacterial growth, specialized air handling system adding a layer of sanitation control, and reverse flow drainage to eliminate cross contamination. Biologically secured work areas are strictly segregated by product type to insure that fresh and further processed production is contamination free. Our uniform documentation process lets our customers confidently receive a product where quality and wholesomeness are the standard. All incoming meat is checked to raw material quality specifications, freshness and temperature requirements. We utilize the Infinity Food Safety Software and Traceability System which identifies exactly when each component entered the process, where it was consumed and the lots that make up the finished goods. We closely monitor every production run to make sure we meet product specifications and quality control goals. We have instituted industry leading processes and practices providing invaluable statistical information to ensure food safety. We conduct quality and efficiency focused training programs with our operations teams to ensure quality is the focus. We can help our customers turn a concept into a fully cooked product quickly and efficiently. To support our ongoing commitment to producing safe products we Test and Hold all production until validated as safe, quality food by an outside, certified lab.